These Terms govern your access to, and use of, the Site and Services and Expert Content (as defined below) and constitute a binding legal agreement between you and Candide. Please read carefully these Terms, which may be found at ​www.wikiexpert.com/terms/​.If you do not agree to these Terms, you have no right to use the Services, Site or Expert Content. “Candide Content” ​means all Content that Candide makes available through the Site or Services, including any Content licensed from a third party, but excluding Expert Content. “​Candide-ID” ​means a unique identification name, chosen by each Expert upon registration. “Collective Content” ​means Expert Content and Candide Content. “Content” ​means text, graphics, images, music, software, audio, video, information or other materials. “Expert” ​means a person or entity who completes Candide’s online account registration process on the Site in order to create a Profile. “Expert Content” ​means all Content that an Expert posts, uploads, publishes, submits or transmits to be made available through the Site or Services via the Profile, including but not limited to comments, captions, watermarks, images and tags. “Profile” ​means the profile of the Expert, created on the Site by the Expert. “Tax” ​or ​“Taxes” ​mean any applicable sales taxes, value added taxes (VAT), goods and services taxes (GST) and other similar taxes, including but not limited to withholding, personal or corporate taxes. “User” ​means any person who accesses a Profile or the Site. “you” ​and ​“your” ​refer to the individual or entity that uses the Site or Services. “we”​,​“us”​,or ​“our” ​refer to Candide. Users may view Profiles as an unregistered visitor to the Site. However, if you wish to use the Services or post a Profile, you must register in order to create a Candide Account (as defined below). Candide makes the Site and Services available to Experts solely to facilitate the creation of Profiles. Candide does not provide, and is not responsible for, Expert Content or any information or advice exchanged with Users under any circumstances. Candide does not verify the credentials of any of its Experts. Candide is not liable for any loss or damage related to any and all Profiles or information provided via the Services. All Experts and Users use the Site and Services at their own risk. Experts are not employees or agents of Candide. They are independent service providers using the Site and Services to market their expertise to Users. Accordingly, Candide is not liable for any loss or damage caused by reliance on any information provided by Experts. 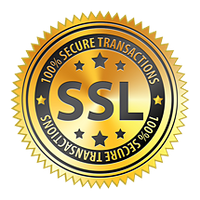 Candide reserves the right, at its sole discretion, to modify the Site, Services or the Terms (including the Service Fee, as defined below), at any time. All minor modifications shall be published on the Site and the new Terms shall be effective from the date of publication as shown in the date displayed at the top of the modified published Terms. Where material changes are made, Experts will be given 30 days prior notice of the changes via email. Experts agree to keep Candide notified at all times of their current email address. By continuing to access or use the Site or Services after Candide have: (i) posted a modification on the Site; or (ii) provided Experts with 30 days’ notice; as applicable, you are deemed to have accepted the changes and shall be legally bound by the modified Terms. In order for Experts to access certain features of the Site and to create a Profile, Experts must register to create an account. Use of the Telebond Account shall be subject to the terms and conditions applicable. Your Profile is based upon the personal data you provide to Candide. You may not have more than one (1) active Profile. You agree to provide accurate, current and complete information during the registration process, to update such information, to keep it accurate, current and complete. Candide reserves the right to suspend or terminate your Candide Account and your access to the Site and Services if you create more than one (1) Candide Account or if any information provided during the registration process or thereafter proves to be inaccurate, not current or incomplete. You are responsible for safeguarding your password. You agree that you will not disclose your password to any third party and that you will take sole responsibility for any activities or actions under your Candide Account, whether or not you have authorized such activities or actions. You will immediately notify Candide of any unauthorized use of your Candide Account. Profiles are made publicly available to Users via the Site. A Profile may be created by you after registration. Candide cannot and does not control the Content contained in any Profiles or the information exchanged with Users. Candide has no liability whatsoever for the Content of Profiles, or for any User’s compliance with any applicable laws, rules and regulations. Candide is not involved in the interactions between Experts and Users and does not refer or endorse or recommend particular Experts to Users. Candide does not edit, modify, filter, screen, monitor, endorse or guarantee Expert Content or the content of communications between Experts and Users. Candide is not party to any agreements entered into between Users and Experts. Subject to any free trial period agreed with an Expert upon registration, Services are provided to Experts in consideration of Candide receiving a recurring subscription fee as further detailed and published at https://wikiexpert.com/price/ ​(“​Service Fee​”); special promotions and discounts might apply. In order to always guarantee access to WikiExpert, the Expert must have a valid payment method associated to its account, so that Candide can charge the monthly Service Fee. For valid payment methods Experts must check their setting on the profile page. Candide provides a communication solution for an Expert and Users to connect and Services to be provided by Expert. If, for any reason the Services provided by the Expert don’t match the Services advertised or expected the Expert and User must agree if there should be a refund and the Expert should act in accordance with its terms. Candide is under no circumstance liable for any compensations or refunds that are directly related to any transaction between an Expert and a User. You acknowledge that Candide has no obligation to monitor your access to or use of the Site, Services or Collective Content or to review or edit any Expert Content, but has the right to do so for the purpose of operating the Site and Services, to ensure your compliance with these Terms, or to comply with applicable law or the order or requirement of a court, administrative agency or other governmental body. All trademarks, service marks, logos, trade names and any other proprietary designations of Candide or its affiliates used herein are trademarks or registered trademarks of Candide or its affiliates. Any other trademarks, service marks, logos, trade names and any other proprietary designations are the trademarks or registered trademarks of their respective parties. All intellectual property rights and title to the Services, Site and Content (save to the extent incorporating any Expert Content or third party owned item) shall remain with the Candide and/or its licensors and no interest or ownership in the Services, Site and Content or otherwise is conveyed to you under these Terms. No right to modify, adapt, or translate the Services or create derivative works from the Services is granted to you. Nothing in these Terms shall be construed to mean, by inference or otherwise, that you have any right to obtain source code for the software comprised within the Services. Subject to your compliance with the terms and conditions of these Terms, Candide grants you a limited, non-exclusive, non-transferable license, to: (i) access and view any Candide Content solely for your personal and non-commercial purposes; (ii) access and view any Expert Content to which you are permitted access, solely for your personal and non-commercial purposes; and (iii) use the Site and Services upon the terms and conditions of these Terms. You have no right to sublicense the license rights granted in this clause. Such licence shall permit you to make such copies of software or other information as are required for you to receive the Services. Where open source software is used as part of the Services, such software use by you will be subject to the terms of the open source licences. We may, in our sole discretion, permit Experts to post, upload, publish, submit or transmit Expert Content. By making available any Expert Content on or through the Site and Services, the Expert hereby grants to Candide a worldwide, irrevocable, perpetual, non-exclusive, transferable, royalty-free license, with the right to sublicense, to use, view, copy, adapt, modify, distribute, license, sell, transfer, publicly display, publicly perform, transmit, stream, broadcast, access, view, and otherwise exploit such Expert Content on, through, or by means of the Site and Services. Candide does not claim any ownership rights in any such Expert Content and nothing in these Terms will be deemed to restrict any rights that you may have to use and exploit any such Expert Content. and (ii) neither the Expert Content nor your posting, uploading, publication, submission or transmittal of the Expert Content or Candide’s use of the Expert Content (or any portion thereof) on, through or by means of the Site and the Services will infringe, misappropriate or violate a third party’s patent, copyright, trademark, trade secret, moral rights or other proprietary or intellectual property rights, or rights of publicity or privacy, or result in the violation of any applicable law or regulation. Expert Content will not, at any time, be deemed to reflect or represent or view or values. We welcome and encourage you to provide feedback, comments and suggestions for improvements to the Site and Services (​“Feedback”​). You may submit Feedback by emailing us at ​info@wikiexpert.com All Feedback will be the sole and exclusive property of Candide and you hereby irrevocably assign to Candide and agree to irrevocably assign to Candide all of your right, title, and interest in and to all Feedback, including without limitation all worldwide patent, copyright, trade secret, moral and other proprietary or intellectual property rights therein. At Candide’s request and expense, you will execute documents and take such further acts as Candide may reasonably request to assist Candide to acquire, perfect, and maintain its intellectual property rights and other legal protections for the Feedback. Candide and the Expert each undertake to comply with our obligations under any relevant applicable data protection laws, principles and agreements. To the extent that personal data is processed using the Site, Services or Collective Content, the Expert acknowledges that Candide is a data processor and the Expert is a data controller and each of shall comply with its respective statutory data protection obligations and the terms of the DPA. Where Candide collects and processes personal data of Experts, as a data controller, when providing the Site, Services or Collective Content, such collection and processing shall be in accordance with the ​Privacy​​Policy​. Candide makes no warranty that the Site, Services, Collective Content (including, but not limited to the Profiles) will meet your requirements or be available on an uninterrupted, secure, or error-free basis. Candide makes no warranties regarding the quality of any Profiles, the Site, Services or Collective Content or the accuracy, timeliness, truthfulness, completeness or reliability of any Collective Content obtained through the Site or Services. Candide does not conduct background checks on any Experts, but may conduct such background checks in its sole discretion. Candide does not attempt to confirm, and does not confirm, any Expert’s purported identity or credentials. You are responsible for determining the identity and suitability of others who you contact via the Site and Services. You are solely responsible for all of your communications and interactions with Users of the Site or Services and with other persons with whom you communicate or interact as a result of your use of the Site or Services. Candide makes no representation or warranties as to the conduct of Users of the Site or Services or their compatibility with any current or future Users of the Site or Services. You agree to take reasonable precautions in all communications and interactions with Users of the Site or Services and with other persons with whom you communicate or interact as a result of your use of the Site or Services, including but not limited to Users who are Experts, regardless of whether such communications or interactions are organized by Candide. By using the Site or Services, you agree that any legal remedy or liability that you seek to obtain for actions or omissions of Users or other third parties will be limited to a claim against the particular Users or other third parties who caused you harm and you agree not to attempt to impose liability on, or seek any legal remedy from Candide with respect to such acts or omissions. In no event shall Candide be liable to you whether arising under these Terms or in tort (including negligence or breach of statutory duty), misrepresentation or otherwise, for any Consequential Loss. (“​Consequential Loss​”) shall for the purposes of these Terms mean: (i) pure economic loss; (ii) losses incurred by any client of yours or other third party; (iii) loss of profits (whether categorised as direct or indirect loss); (iv) losses arising from business interruption; (v) loss of business revenue, goodwill or anticipated savings; and (vi) losses whether or not occurring in the normal course of business, wasted management or staff time. Subject to any applicable mandatory law to the contrary, the total liability of Candide in aggregate (whether in contract, tort or otherwise) under or in connection with these Terms and your use or access to the Site and Services (including any indemnity or contribution) shall not exceed one hundred (100) per cent of the total amount (excluding any Taxes) paid or payable to Candide by you, in the twelve (12) month period prior to the event(s) giving rise to the liability or claim. of or in any way connected with: (i) your access to or use of the Site, Services, or Collective Content in breach of these Terms; (ii) your Expert Content; and (iii) your interaction with any User, reliance on any information exchanged via the Site or Services, or creation of a Profile or /iv) breaches of your obligations under any applicable data protection law or regulation or the terms of the DPA. Candide may, at its discretion and without liability to you, with or without cause, with or without prior notice and at any time: (i) terminate these Terms or your access to the Site and Services; and (ii) deactivate or cancel your Candide Account or Profile. In the event Candide terminates these Terms, or your access to the Site and Services or deactivates or cancels your Candide Account or Profile you will remain liable for all amounts payable for use or access to the Site and Services under these Terms. You may cancel your Candide Account or Profile at any time by contacting Candide by email or post as set out in clause 29 (Contacting Candide). Please note that if your Candide Account or Profile is cancelled, Candide shall at your request delete or return Content you have posted to the Site and Services, including, but not limited to, any reviews or Feedback in accordance with the terms of the DPA. These Terms constitute the whole agreement and understanding between Candide and you regarding the Site, Services, Collective Content and any Profiles created via the Site, and Services and these Terms supersede and replace any and all prior oral or written understandings or agreements between Candide and you regarding the subject matter thereof. These Terms shall be governed by the laws of England and Wales. Subject to the parties following the dispute resolution procedure set out in clause 27 (Dispute Resolution), the courts of England shall have exclusive jurisdiction for the settlement of all disputes arising under these Terms. In the event of any dispute between the parties to these Terms the parties shall within 10 days of a written request from one party to the other, meet in a good faith effort to resolve the dispute without recourse to proceedings. If the dispute is not resolved as a result of such meeting, any party may (at such meeting or within 14 days from its conclusion) propose to the other in writing that structured negotiations be entered into with the assistance of a neutral advisor (“​Neutral Adviser​”). If the parties are unable to agree on the appointment of a Neutral Adviser or the Neutral Adviser is unable or unwilling to act, either party may within fourteen days from the date of the proposal to appoint a Neutral Advisor or within fourteen days of notice to any party that he or she is unable or unwilling to act, apply to CEDR to appoint a Neutral Adviser. The parties shall within 14 days of the appointment of the Neutral Adviser meet with him or her in order to agree a programme for the exchange of any relevant information and the structure to be adopted for the negotiations. If considered appropriate, the parties may at any stage seek assistance from CEDR to provide guidance on a suitable procedure. All negotiations connected with the dispute shall be conducted in confidence and without prejudice to the rights of the parties in any future proceedings. If the parties accept the Neutral Advisor's recommendations or otherwise reach agreement on the resolution of the disputes, such agreement shall be set down in writing and, when signed by their duly authorised representative, shall be binding on the parties. Failing agreement, either of the parties may invite the Neutral Adviser to provide a non-binding opinion in writing. Such opinion shall be provided on a without prejudice basis and shall not be used in evidence in any proceedings subsequently commenced pursuant to the terms of these Terms without the prior written consent of the parties. “Candide​​”​,​“we” ​or ​“us”​). Candide​ ​takes your privacy very seriously. For the purpose of Regulation (EU) 2016/679 of the European Parliament and of the Council of 27 April 2016, (“​GDPR​”) or any subsequent amendment or replacement or supplementary legislation (together “​Data Protection Law​”), the data controller is Candide Base Limited, ​78, York Street, London, United Kingdom, W1H 1DP. Personal Data: ​You may give us personal information about yourself when you register for and use the Services, access certain content or features within the Site or Services, directly contact the Site, subscribe for a newsletter, search for a product or service, place on order on the Site or within the Services or when you report a problem with the Site or Services. available and store (if applicable and as permitted by the TPSP and authorized by you) the data in your Third Party Accounts so that it is available on and through your Candide Account on the Site and Service. If there is data about your “friends” or people with whom you are associated in your Third Party Account, the data we obtain about those “friends” or people with whom you are associated, may also depend on the privacy settings such people have with the applicable TPSP. To find out more about cookies, including how to see what cookies have been set and how to manage and delete them, visit ​www.aboutcookies.org ​or ​www.allaboutcookies.org​. To opt out of being tracked by Google Analytics across all websites visit ​http://tools.google.com/dlpage/gaoptout​. Mobile Communications: ​With your consent, we may use your mobile phone number to send you information, notifications and updates regarding the Site or Service. Profile Information: ​We use information we collect at registration in the creation of your Profile. Your Profile will include, among other things, your first and last name, your profile picture and your location. You can select the other items of Personal Data that you wish to be included in your Profile –(​“Profile Information”​). We will display your Profile Information in your Profile publicly via the Site and, with your prior permission, on third party sites. Any information you choose to provide as part of your Profile Information will be publicly visible to all Users via your Profile and consequently should reflect how much you want other Users to know about you. We recommend that you protect your anonymity and sensitive data and we encourage you to exercise caution regarding the information disclosed in your Profile. You can review and edit your Profile Information at any time. Profiles: ​If you create a Profile, we may publish, use, share or otherwise disclose the content of that Profile publicly via the Site and may enable third parties to publish the Profile on their websites. to this by ticking the relevant box situated on the form on which we collected your data. You may opt out of these marketing related notifications at any time by accessing the “Manage Notifications” section of your Candide Account. Please note that we may also use your Personal Data to contact you with information related to your use of the Service; you may not opt out of these notifications. Request Fulfilment: ​We may use information that we collect to fulfil your requests for products, services and information. For example, we may use your information to respond to your customer service requests. Data Analysis: ​In order to learn more about how our Site and Services are used, we aggregate and analyse the information we collect. We may use information, for example, to monitor and analyse use of the Site and Services, to improve functionality and to better tailor our content and design to suit our visitors’ needs. Aggregated Data​: We may use your information and aggregate it with data collected from other Experts to attempt to provide you with a better experience, to improve the quality and value of the Site and Services and to analyse and understand how our Site and Services are used. We may also use the combined information without aggregating it to serve you specifically, for instance to deliver a product to you according to your preferences or restrictions. To Perform Contracts​: We may use your information to carry out our obligations arising from any contract entered into between you and us. Administration ​Purposes: We may use your information to administer our Site and Services, for internal operations, including troubleshooting, data analysis, testing, research, statistical and survey purposes. Usability​: We may use your information to ensure that content from our Site and Services is presented in the most effective manner for you and for your computer, to allow you to participate in interactive features of our Services, when you choose to do so. Services Information​: We may use your information to inform you about scheduled Services downtimes and new features or to make suggestions and recommendations to you and other users of our Site or Services about our goods or services that may interest you or them. Analysis​: We may use your information to measure or understand the effectiveness of advertising we serve to you and others, and to deliver relevant advertising to you. Analysis: ​We may share aggregated information that does not include Personal Data and we may otherwise disclose Non-Identifying Data and Log Data to third parties for industry analysis, demographic profiling, payment processing, customer service and other purposes. Any aggregated information we share will not contain your Personal Data. distribution. These third parties will have access to your information only for the purpose of performing these tasks on our behalf. Companies within our group of companies​: We will make your information (including Personal Data) available to all companies within our group of companies in order to provide the Site and Services to Users. Where any group companies are located outside of the EEA, we will ensure that such companies are subject to EU Model clauses in relation to access to and use of your Personal Data. Populating a list of potential friends to whom you can send service-specific messages. For example, we may use friend lists from a TPSP to create a list of contacts to whom you may choose to share your Profile. Due Diligence: ​We may disclose your information in the event that we sell or buy any business or assets, in which case we may disclose your personal data to the prospective seller or buyer of such business or assets. Compliance with Laws: ​We may share your information to respond to subpoenas, search warrants, judicial proceedings, court orders, legal process, or other law enforcement measures, to establish or exercise our legal rights, or to defend against legal claims. from unauthorized access, destruction, use, modification and disclosure of information of Candide Users. Identity theft and the practice currently known as “phishing” are of great concern to us. Safeguarding information to help protect you from identity theft is a top priority. We do not and will not, at any time, ask you to provide any credit card information, your Candide ID, login password, or national identification numbers in a non-secure or unsolicited email or telephone communication. Please note that, if you cancel your Candide Account, any of your user content on the Site will remain publicly viewable via the Site. Where we process your Personal Data for marketing purposes, we will inform you and obtain your opt in consent (before collecting your Personal Data) if: (i) we intend to use your Personal Data for such purposes, unless we are informing you about similar goods and services of Candide or its affiliates, or (ii) we intend to disclose your information to any third party for marketing purposes. If you change your mind about being contacted in the future, please opt out by clicking the “unsubscribe” link at the bottom of any email. Once you do this, you will no longer receive any marketing emails from us. We will continue to communicate with you regarding your service billing and support via email. Please note: After you have closed your account or deleted information from your account, any information you have shared with others will remain visible. We do not control data that other users may have copied from the Site or Services. “Sub-Processor” ​means any person or entity engaged by Candide or its Affiliate to process Personal Data in the provision of the Services to Experts. 2.1. The Processor has agreed to provide the Services to the Controller in accordance with the terms of the Agreement. In providing the Services, the Processor shall process Expert Content on behalf of the Controller. Expert Content may include Personal Data. The Processor will process and protect such Personal Data in accordance with the terms of this DPA. 3.1. In providing the Services to the Controller pursuant to the terms of the Agreement, the Processor shall process Personal Data only to the extent necessary to provide the Solution and Services in accordance with both the terms of the Agreement and the Controller’s instructions documented in the Agreement and this DPA. 1.1. The Processor may collect, process or use Personal Data only within the scope of this DPA. 1.2. The Processor confirms that it shall process Personal Data on behalf of the Controller and shall take steps to ensure that any natural person acting under the authority of the Processor who has access to Personal Data shall only process the Personal Data on the documented instructions of the Controller. 1.3. The Processor shall promptly inform the Controller, if in the Processor’s opinion, any of the instructions regarding the processing of Personal Data provided by the Controller, breach any Data Protection Law. 1.4. The Processor shall ensure that all employees, agents, officers and contractors involved in the handling of Personal Data: (i) are aware of the confidential nature of the Personal Data and are contractually bound to keep the Personal Data confidential; (ii) have received appropriate training on their responsibilities as a data processor; and (iii) are bound by the terms of this DPA. 1.5. The Processor shall implement appropriate technical and organisational procedures to protect Personal Data, taking into account the state of the art, the costs of implementation and the nature, scope, context and purposes of processing as well as the risk of varying likelihood and severity for the rights and freedoms of natural persons. 1.7. The technical and organisational measures detailed in the Security Policy shall be at all times adhered to as a minimum security standard. The Controller accepts and agrees that the technical and organisational measures are subject to development and review and that the Processor may use alternative suitable measures to those detailed in the attachments to this DPA. 1.8. The Controller acknowledges and agrees that, in the course of providing the Solution and Services to the Controller, it may be necessary for the Processor to access the Personal Data to respond to any technical problems or Controller queries and to ensure the proper working of the Services. All such access by the Processor will be limited to those purposes. 1.9. Where Personal Data relating to an EU Data Subject is transferred outside of the EEA it shall be processed in accordance with the provisions of the Standard Contractual Clauses, unless the processing takes place: (i) in a third country or territory recognised by the EU Commission to have an adequate level of protection; or (ii) by an organisation located in a country which has other legally recognised appropriate safeguards in place, such as the EU-US Privacy Shield or Binding Corporate Rules. 1.10. Taking into account the nature of the processing and the information available to the Processor, the Processor shall assist the Controller by having in place appropriate technical and organisational measures, insofar as this is possible, for the fulfilment of the Controller's obligation to respond to requests for exercising the Data Subject's rights and the Controller’s compliance with the Controller’s data protection obligations in respect of the processing of Personal Data. 5.1. The Controller represents and warrants that it shall comply with the terms of the Agreement, this DPA and Data Protection Law. and authorisations necessary to permit the Processor, its Affiliates and Sub-Processors, to execute their rights or perform their obligations under this DPA. 5.7. The Controller acknowledges and agrees that some instructions from the Controller, including destruction or return of data, assisting with audits, inspections or DPIAs by the Processor, may result in additional fees. In such case, the Processor will notify the Controller of its fees for providing such assistance in advance, unless otherwise agreed. in connection with the provision of the Services. 6.2. All Sub-processors who process Personal Data in the provision of the Services to the Controller shall comply with the obligations of the Processor set out in this DPA. 6.4. The Processor shall make available to the Controller the current list of Sub-processors which shall include the identities of Sub-processors and their country of location. During the term of this DPA, the Processor shall provide the Controller with prior notification, via email, of any changes to the list of Sub-processor(s) who may process Personal Data before authorising any new or replacement Sub-processor(s) to process Personal Data in connection with the provision of the Services. 6.5. The Controller may object to the use of a new or replacement Sub-processor, by notifying the Processor promptly in writing within ten (10) Business Days after receipt of the Processor’s notice. If the Controller objects to a new or replacement Sub-processor, the Controller may terminate the Agreement with respect to those Services which cannot be provided by the Processor without the use of the new or replacement Sub-processor. The Processor will refund the Controller any prepaid fees covering the remainder of the term of the Agreement following the effective date of termination with respect to such terminated Services. 7.1. The limitations on liability set out in the Agreement apply to all claims made pursuant to any breach of the terms of this DPA. 7.2. The parties agree that the Processor shall be liable for any breaches of this DPA caused by the acts and omissions or negligence of its Sub-processors to the same extent the Processor would be liable if performing the services of each Sub-processor directly under the terms of the DPA, subject to any limitations on liability set out in the terms of the Agreement. 7.3. The parties agree that the Controller shall be liable for any breaches of this DPA caused by the acts and omissions or negligence of its Affiliates as if such acts, omissions or negligence had been committed by the Controller itself. 1.7. The Controller shall not be entitled to recover more than once in respect of the same claim. 2.1. The Processor shall make available to the Controller all information reasonably necessary to demonstrate compliance with its processing obligations and allow for and contribute to audits and inspections. 2.2. Any audit conducted under this DPA shall consist of examination of the most recent reports, certificates and/or extracts prepared by an independent auditor bound by confidentiality provisions similar to those set out in the Agreement. In the event that provision of the same is not deemed sufficient in the reasonable opinion of the Controller, the Controller may conduct a more extensive audit which will be: (i) at the Controller’s expense; (ii) limited in scope to matters specific to the Controller and agreed in advance; (iii) carried out during UK business hours and upon reasonable notice which shall be not less than 4 weeks unless an identifiable material issue has arisen; and (iv) conducted in a way which does not interfere with the Processor’s day-to-day business. 2.3. This clause shall not modify or limit the rights of audit of the Controller, instead it is intended to clarify the procedures in respect of any audit undertaken pursuant thereto. 1.1. The Processor shall notify the Controller without undue delay after becoming aware of (and in any event within 72 hours of discovering) any accidental or unlawful destruction, loss, alteration or unauthorised disclosure or access to any Personal Data (“​Data Breach​”). 1.2. The Processor will take all commercially reasonable measures to secure the Personal Data, to limit the effects of any Data Breach, and to assist the Controller in meeting the Controller’s obligations under applicable law. 2.1. In the event that the Processor receives a request from a Data Subject in relation to Personal Data, the Processor will refer the Data Subject to the Controller unless otherwise prohibited by law. The Controller shall reimburse the Processor for all costs incurred resulting from providing reasonable assistance in dealing with a Data Subject request. In the event that the Processor is legally required to respond to the Data Subject, the Controller will fully cooperate with the Processor as applicable. 2.2. The Processor will notify the Controller promptly of any request or complaint regarding the processing of Personal Data, which adversely impacts the Controller, unless such notification is not permitted under applicable law or a relevant court order. 2.3. The Processor may make copies of and/or retain Personal Data in compliance with any legal or regulatory requirement including, but not limited to, retention requirements. 2.4. The Processor shall reasonably assist the Controller in meeting its obligation to carry out data protection impact assessments (DPIAs), taking into account the nature of processing and the information available to the Processor. 2.5. The parties acknowledge that it is the duty of the Controller to notify the Processor within a reasonable time, of any changes to applicable data protection laws, codes or regulations which may affect the contractual duties of the Processor. The Processor shall respond within a reasonable timeframe in respect of any changes that need to be made to the terms of this DPA or to the technical and organisational measures to maintain compliance. If the parties agree that amendments are required, but the Processor is unable to accommodate the necessary changes, the Controller may terminate the part or parts of the Services which give rise to the non-compliance. To the extent that other parts of the Services provided are not affected by such changes, the provision of those Services shall remain unaffected. 2.6. The Controller and the Processor and, where applicable, their representatives, shall cooperate, on request, with a supervisory data protection authority in the performance of their respective obligations under this DPA. 11.1. The Processor will only process Personal Data for the term of the DPA. The term of this DPA shall coincide with the commencement of the Agreement and this DPA shall terminate automatically together with termination or expiry of the Agreement. request. The Processor shall in any event delete all copies of Personal Data in its systems within 45 days of the effective date of termination of the Agreement unless: (i) applicable law or regulations require storage of the Personal Data after termination; or (ii) partial Personal Data of the User is stored in backups, then such Personal Data shall be deleted from backups up 2 months after the effective date of termination of the Agreement. 12.1. This DPA sets out the entire understanding of the parties with regards to the subject matter herein. 12.2. Should a provision of this DPA be invalid or become invalid then the legal effect of the other provisions shall be unaffected. A valid provision is deemed to have been agreed which comes closest to what the parties intended commercially and shall replace the invalid provision. The same shall apply to any omissions. 12.3. This DPA shall be governed by the laws of England and Wales. The courts of England shall have exclusive jurisdiction for the settlement of all disputes arising under this DPA. 12.4. The parties agree that this DPA is incorporated into and governed by the terms of the Agreement.